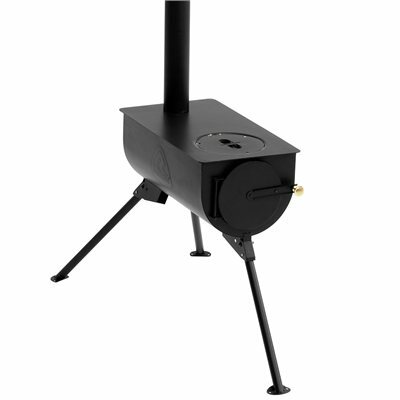 This wood-burning stove is easy to assemble with safe and stable locking legs that can be folded to reduce pack size. It has a door vent, cooking surface and removable top plate for direct access to firebox. Carrybag and gloves included.